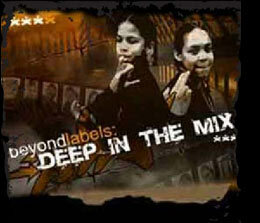 Deep in the Mix' is a DVD produced for Beyond Labels. The motivation behind the 'Deep in the mix' DVD and accompanying teaching materials is to put a stop to racist incidents. Dr. Iain Storey was commissioned to write the script and direct film production by the University of Huddersfield, as well as to help create the accompanying educational materials. The Movie was shot and edited by Darren Evans of Pixelfactory.tv. Racism is a complex and demanding issue for police forces which not only requires a firm operational police response but also ideally work within the community to stop these incidents happening at all. In this respect Schools can play a vital role. Development of a Multimedia application (DVD) for Anti-Racism Education that provides a window into our multi-cultural Kirklees community. The multimedia design process focuses on the imagination and emotions of our multicultural community and is viewed as instrumental to supporting community cohesion. Multimedia education through adopting a design approach based on the concept of 'edutainment and edugaming' is for many re-shaping our educational provision and as a consequence the proposal will support a diverse community of learners through considering the context of learning by directly supporting both community dynamics and individual learning styles and preferences. Harnessing a socially inclusive approach through proactively supporting cultural sensitivity and diversity is central to this on-going multicultural education initiative in combating racism and xenophobia. Arc is a project Supporting Asylum Refugees through Computing. The project is aimed to promote and innovative on line vocational training for multimedia production (computer graphics, authoring tools, sound and video production). It is aimed at specific ethnic minority group that currently finds limited opportunities to participate in higher level skills development. 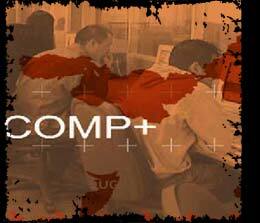 It aims to contribute to the improvement of individual competitiveness, entrepreneurship and employability in the targeted ethnic minority group that needs skills in areas that enable employment, integration and community cohesion. 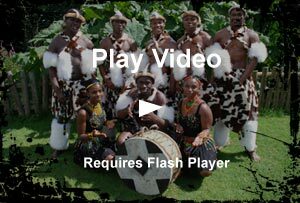 The Mighty Zulu Nation were employed to present a series of interactive, multicultural, multimedia workshops incorporating song, dance, theater and storytelling to produce an truly innovative, exciting learning experience. The proposed project directly supports widening participation policies and also the transition for refugees and asylum seekers in ultimately undertaking work activities that are in demand and as a consequence support employability of disadvantaged ethnic minority groups. The proposed project is viewed as an important driver in directly supporting social inclusion for refugees and asylum-seekers through network learning that engenders a sense of belonging and ownership across multi-cultural communities nationally. This will directly support and extend the work of the Home Office Community Cohesion Unit (Community Cohesion Report, December 2001), UK Sure Start Programme, ?UK online? and extend the work of the University in directly supporting community cohesion. Endorsed by former South Africa and Leeds United Football captain Lucas Radebe, Edu Africa is a project that aims to improve the quality of education in the disadvantaged rural schools of Kwazulu Nataal. 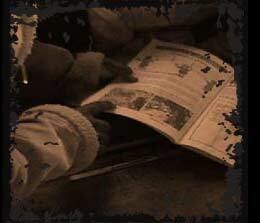 In partnership with uk schools and business the project aims to improve resources and equipment desperately needed. Most schools currently have no running water, few have electricity. Most classrooms have no ceilings and when they do they often leak. There is a chronic shortage of books. There are no labs or science equipment, no musical instruments, computers, sports fields, or even proper toilets. The project offers Uk schools a 10 day excursion for 24 students 4 teachers to visit their friendship school, benefitting from a unique cultural exchange and experience. At the same time the funds generated provide an opportunity for hundreds of South African schoolchildren the chance to reap the rewards of enhanced education. 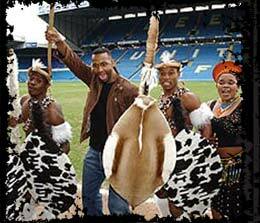 The company was also invited by Leeds United's Lucas Radebe to take part in his Testimonial Fundraising Drive. We went on to perform at the Gala testimonial Dinner in his honour.